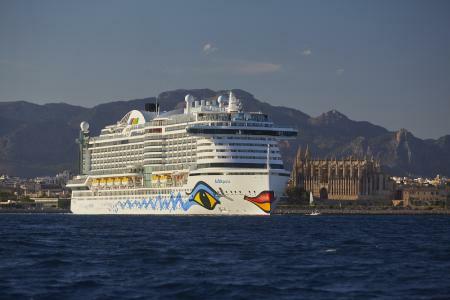 AIDAperla, the newest addition to the Kussmund fleet - which now comprises twelve ships - certainly lives up to its name. Offering a fascinating and wide range of entertainment opportunities, food and action, it's a priceless pearl for all who love diversity. 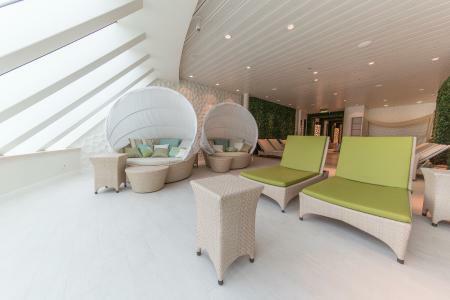 And with regard to the spa, a cruise on AIDAperla also offers a very special experience: as on its structurally identical sister ship, AIDAprima, the lavish spa area covers a surface area of more than 3000m², and was largely fitted out by KLAFS, market leader for saunas, pools and spas. Beginning in March 2018, the 300m long AIDAperla will start from Hamburg on 7-day round voyages to some of the most beautiful destinations in Western Europe, including Southampton, Le Havre, Zeebrugge and Rotterdam. 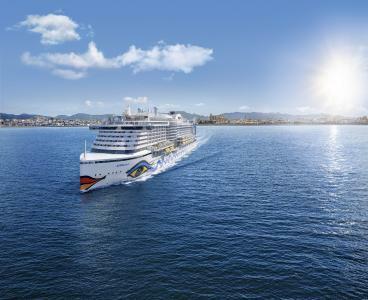 The diversity of the destinations is matched only by the attractions passengers can expect to enjoy on board - because just like it did for the sister ship AIDAprima, AIDA Cruises has once again included an overabundance of extravagant ideas. The new Activity Decks, for example, offer action, sports and fun for all the family. Guests can fly down the "Racer", a double water slide spanning four decks, or bob gently along the "Lazy River". They can reach for the skies in the high rope course, enjoy trendy ground-level sports on the extensive sports deck, or join other passengers to watch matches on the huge LED projection screen. To ensure guests can enjoy the deck all year round regardless of the weather, the area features a retractable roof. 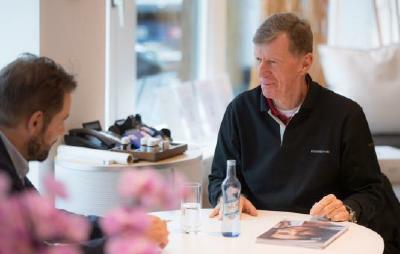 Lots of new details, in other words - but there's still one striking invariable in the AIDA success story: as on eight previous AIDA ships, the investors once again entrusted the fitting out of the AIDAperla spa area to the experienced and competent hands of KLAFS, market leader in the world of saunas, pools and spas. 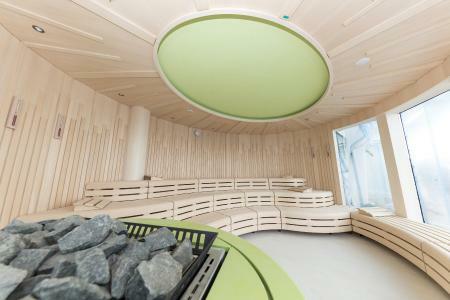 The success of the spa area on the AIDAperla was virtually guaranteed in advance - with the design of the Organic Body & Soul Spa being identical to that which caused such a sensation on the AIDAprima and won the "GREEN Spa Award" from the German Wellness Association in 2017. 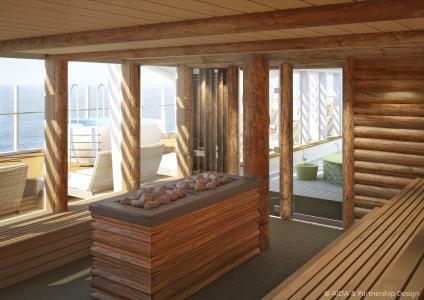 Because AIDA Cruises requested that the visionary spa areas on both the AIDAprima and the AIDAperla be designed and built wholly according to ecological principles. Organic shapes, natural woods and fantastic views over the ocean underscore the Green Spa concept. With regard to beauty treatments, only certified organic SPA products are used. The fresh spring colours highlight perfectly the modern, dynamic concept of the AIDAperla. As does the incredible diversity: not only can guests choose between a Finnish sauna with a panorama glass front, a Kelo sauna, a "Sanarium", a steam room, an aroma room, a Kneipp course and no fewer than three luxury shower areas with water cooling system - but there is even a mud bath with adjoining heated benches, two solariums and more than 20 rooms for individual treatments. 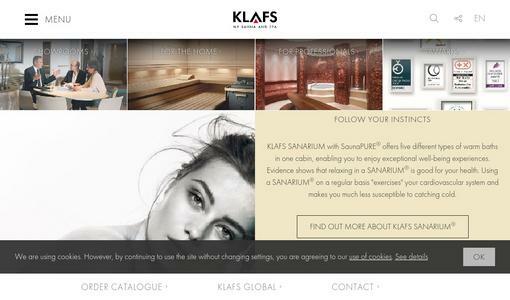 KLAFS was also responsible for fitting out the two exclusive spa suites for private use, each containing a sauna and a glass steam room. The relaxation zones are equally spacious, with fantastic panorama included thanks to extensive glass windows. And talking of indulgence - on the AIDAperla, guests also have the choice of relaxing on one of five ergonomically designed and heated "Linea" loungers. One of the treatment rooms features a heated "Sanotherm" lounger for body wraps or bodypack baths, whilst another includes a "Sanospa" bath for massages, baths or wraps - for unforgettable spa moments. KLAFS planned and manufactured all the spa cabins at its headquarters in Schwaebisch Hall, Germany. 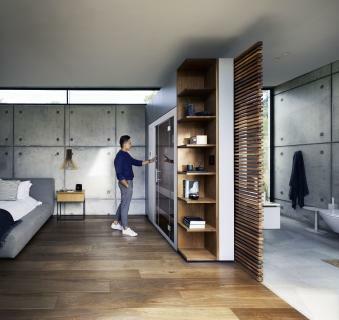 A representative from the Japanese dockyard then came to the company site to approve the finished results, subjecting each spa cabin to a close inspection. Next, the cabins were disassembled and loaded into more than 100 transport boxes for their long journey from Schwaebisch Hall to Nagasaki in Japan. The factory project manager and the assembly manager on site liaised closely to develop a sophisticated logistics concept which ensured that all components reached their destination on time - with success. To reassemble the spa cabins, 12 employees from KLAFS spent several months on location to ensure that all was completed to the customary KLAFS quality standards, both visually as well as with regard to engineering. From the skeleton construction work to all interior fittings, KLAFS took care of everything - delivering finished products which were ready for operation. In this particular project, KLAFS was also responsible for the electrical planning and control systems. Thanks to the expertise and experience of KLAFS, the spa area of the AIDAperla is a genuine pearl!